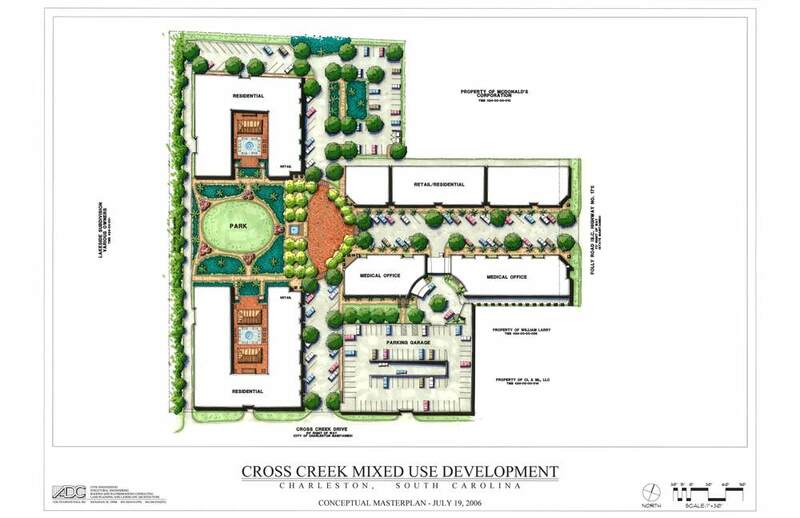 A conceptual masterplan for the Cross Creek development consisted of a multi-use community with retail, residential, offices, a common park space, and a two-story parking structure. Phase I of the project consisted of a three story 66,000 square foot medical office building with on-street parking, drop-off area, additional surface parking in the rear, and landscaping. ADC provided civil engineering, structural engineering, and landscape architecture and planning.